Light in calories and full of flavor is just how we like our summer cocktails. This Skinny Peach Margarita from St. Louis native, The Cookie Rookie, is a great choice! The frozen fruit keeps this recipe fresh, while healthy ingredient substitutes keep it simple–without sacrificing flavor. 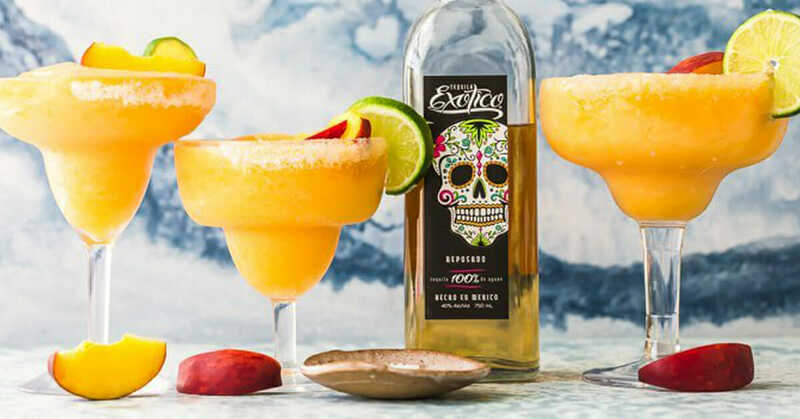 Whether you are pairing this recipe with fan favorites like the Queso Smothered Chicken Fajitas or simply sharing with people whose company you enjoy, this cocktail is sure to wow. Add the peaches, tequila, lime juice, sparkling water, agave nectar, and ice to a high powered blender. *The Cookie Rookie prefers a salt rim opposed to sugar, though she wants to reassure you, it is great both ways! See more from The Cookie Rookie.